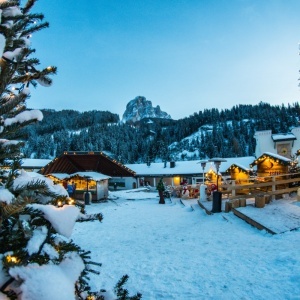 A warm welcome in a place full of magic and beauty! 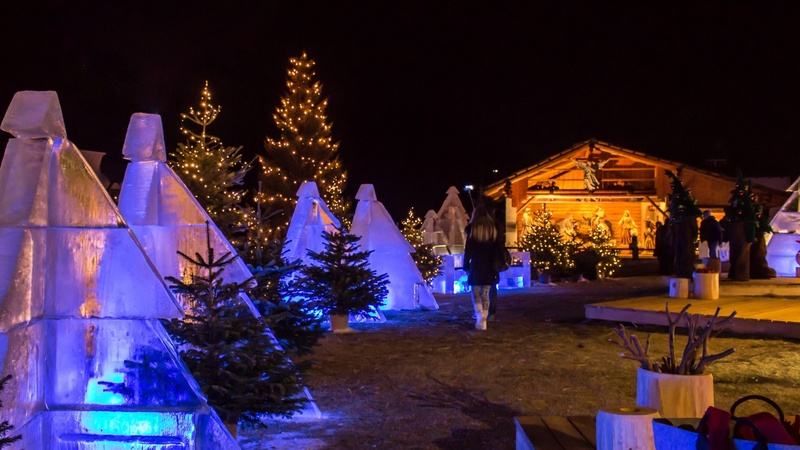 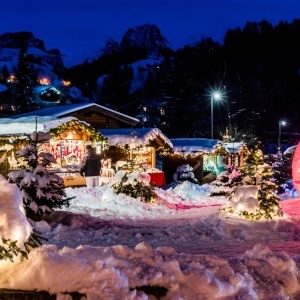 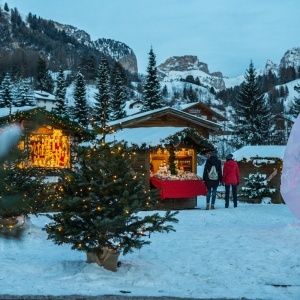 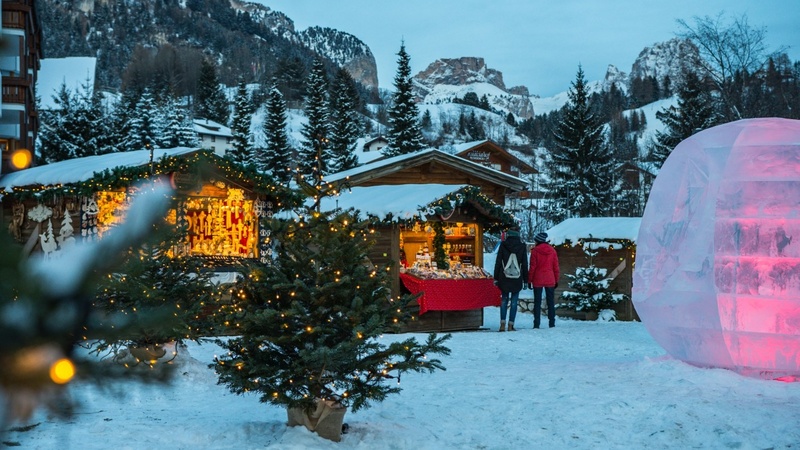 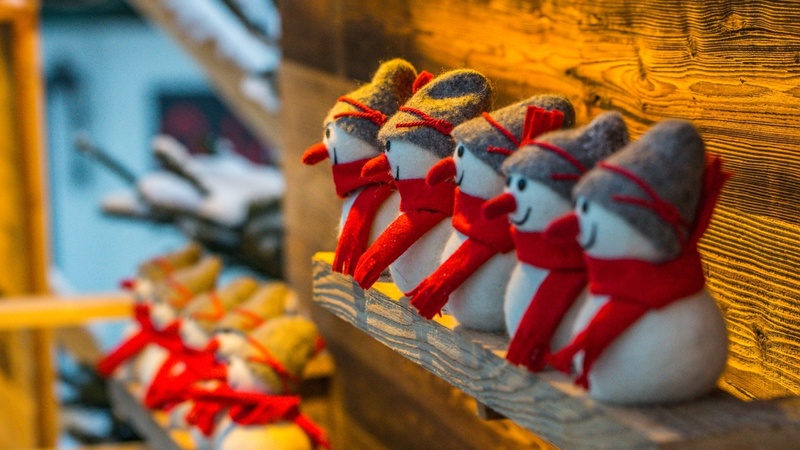 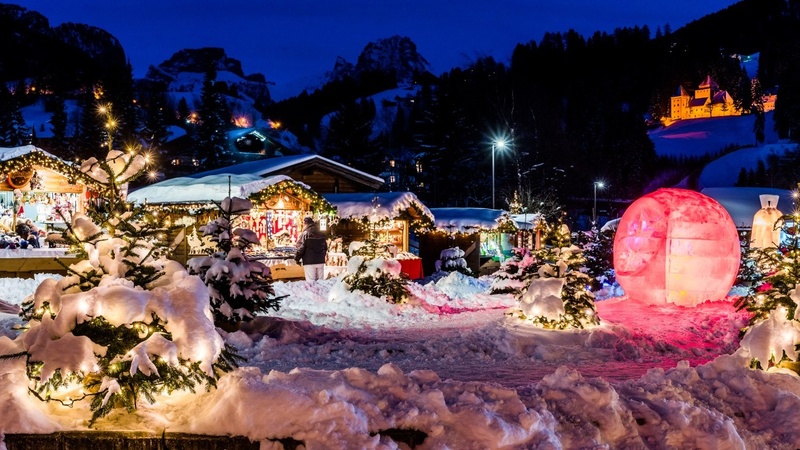 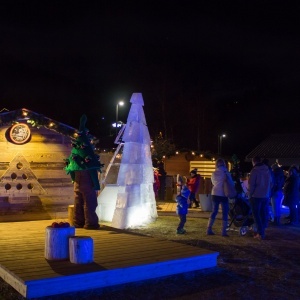 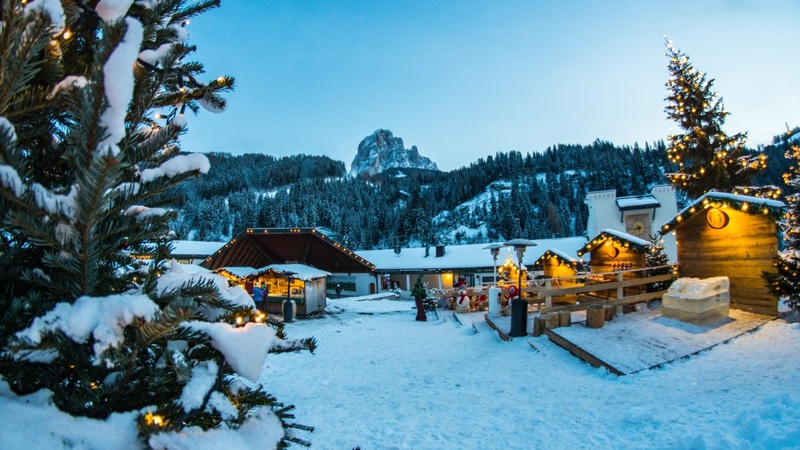 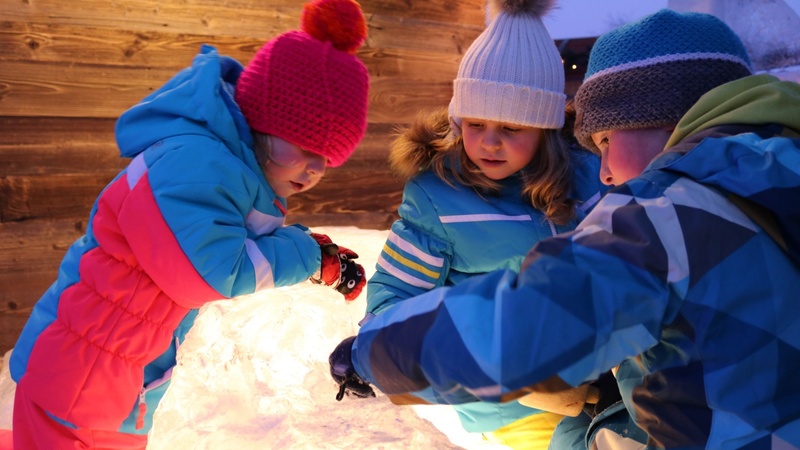 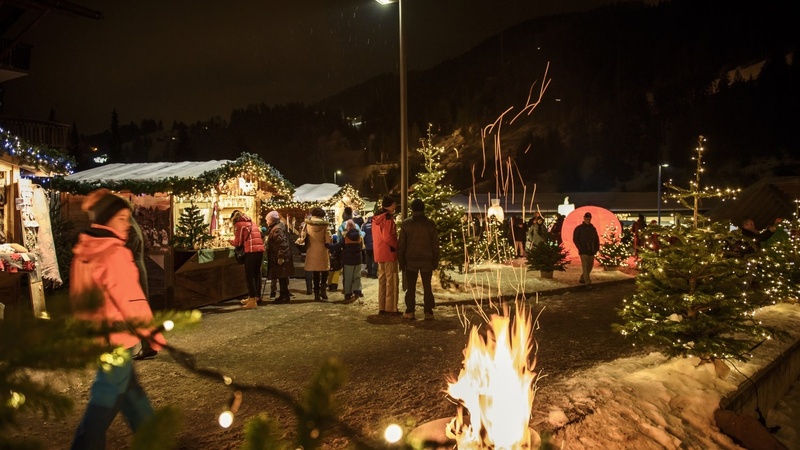 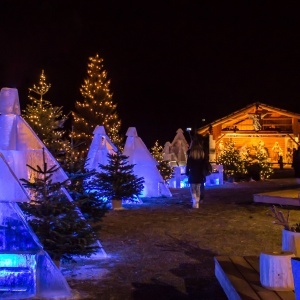 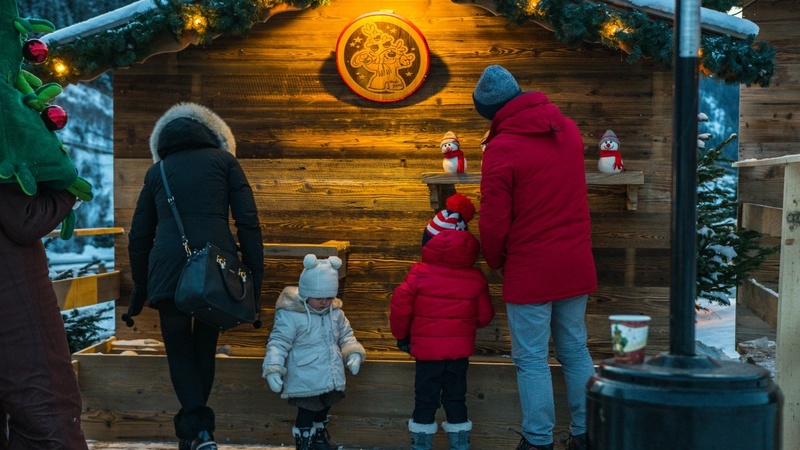 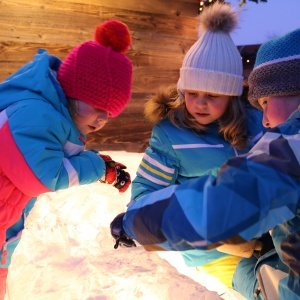 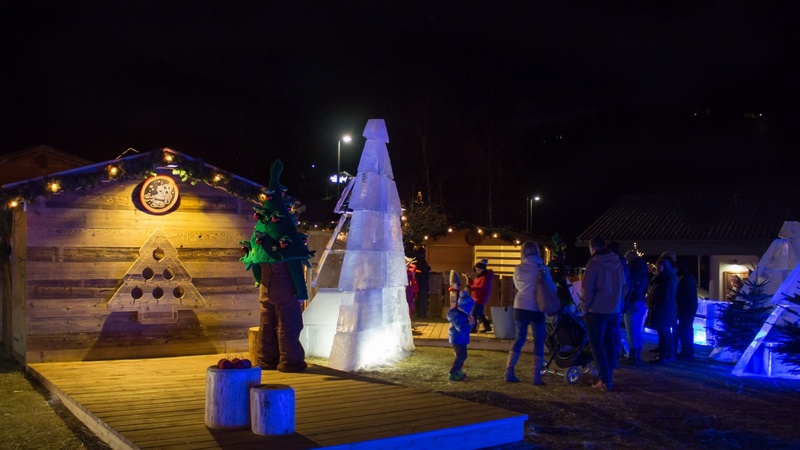 The blue and wintry light of the ice world meets the cosy and inviting light of the huts and creates a perfect Christmas atmosphere and a special winter experience. 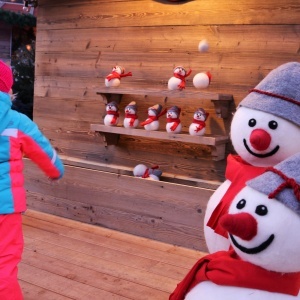 Observe the soft snow flurry and the cushioned sounds of a white Christmas in the mountains. 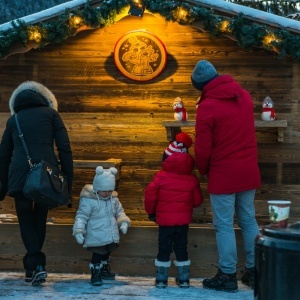 Our thoroughly decorated and traditional huts offer local and sustainable products, here you will surely find an ideal Christmas present for your loved ones. 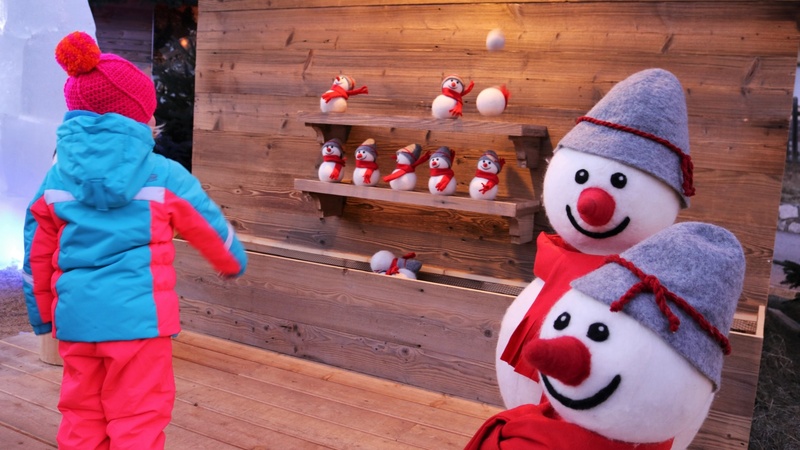 For children with Magic Jokki: Jokki invites all of the children in his magic world and enchants all the visitors. 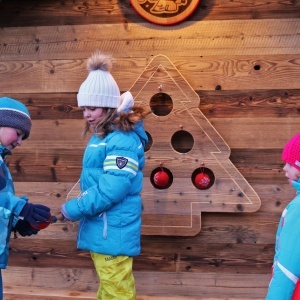 For adults: Magic town ensures happy children and relaxed moments for the parents. 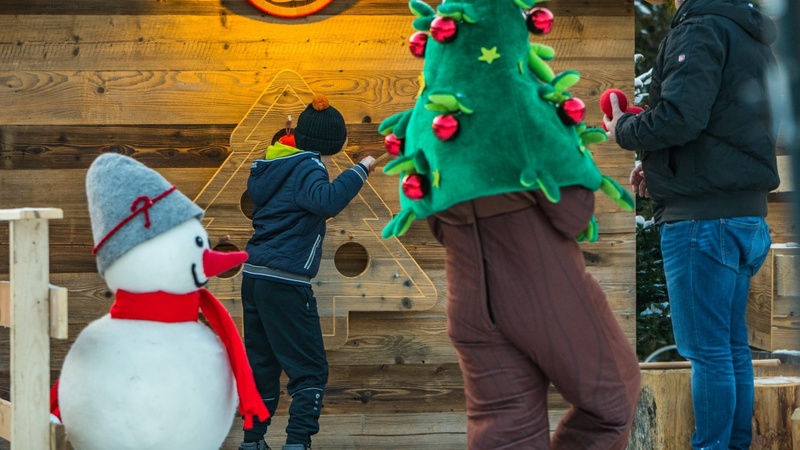 Meanwhile qualified animators entertain the children on the square; the adults can unwind with great company, while keeping their children under surveillance. 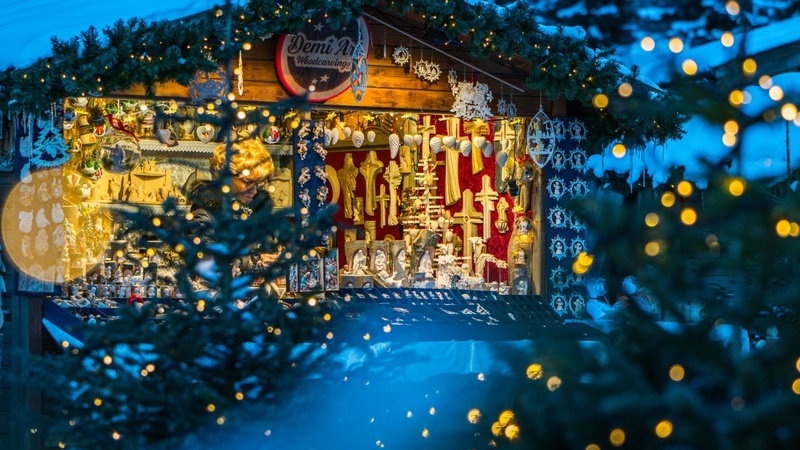 A Magic world over the borders of the Christmas market that flows over the entire town. 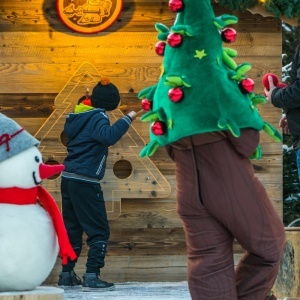 Maybe you meet Magic Jokki when you stroll around S. Cristina. 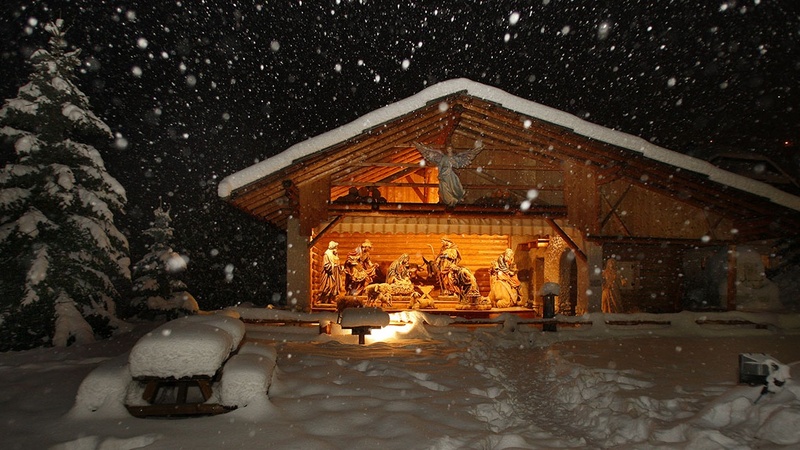 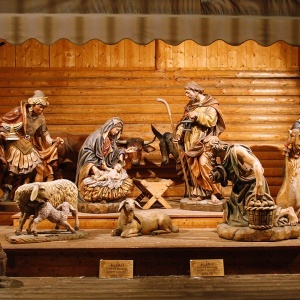 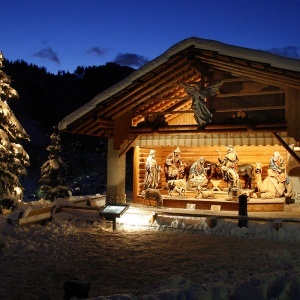 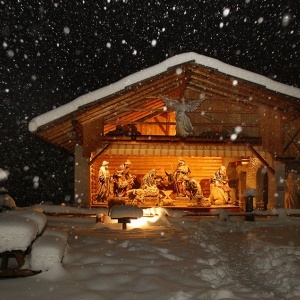 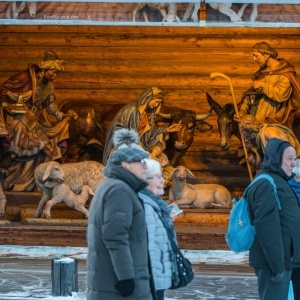 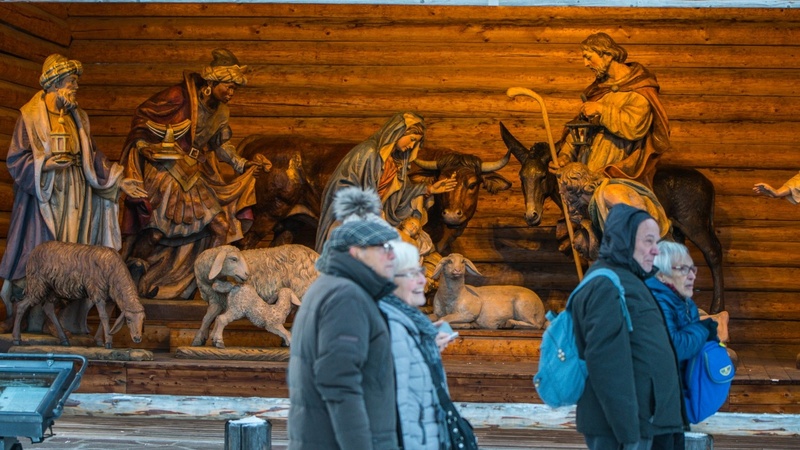 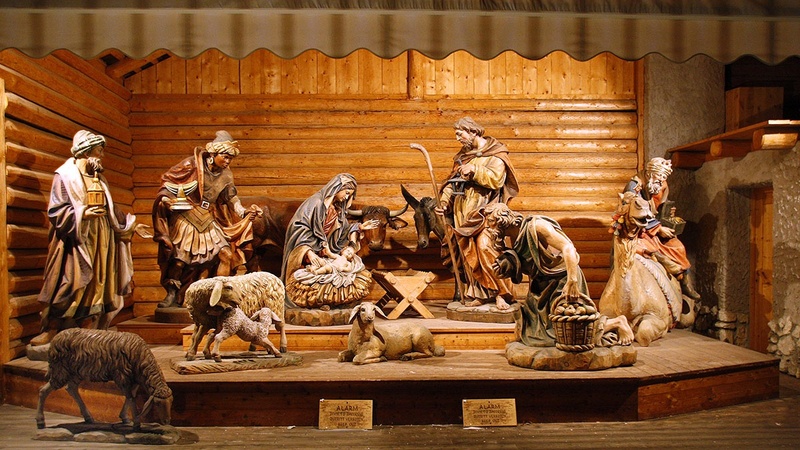 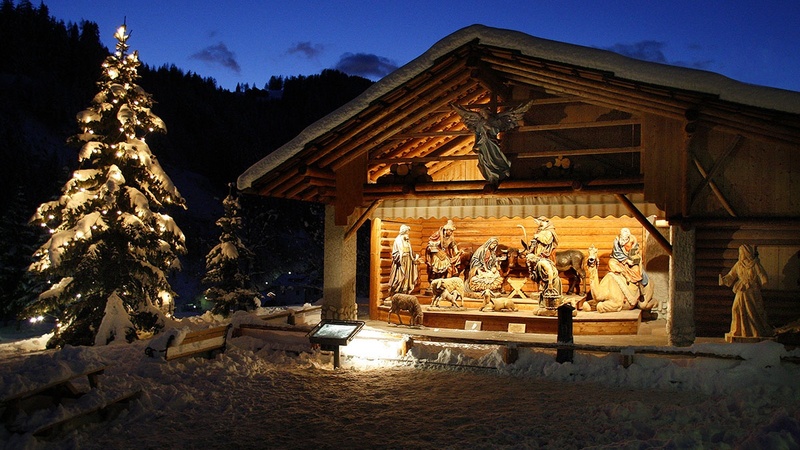 The biggest nativity scene in the world! 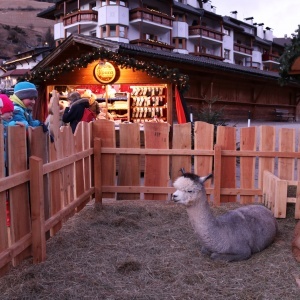 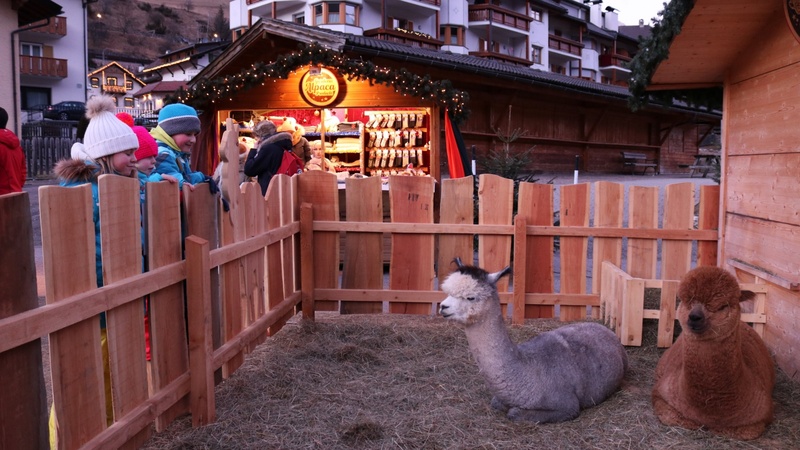 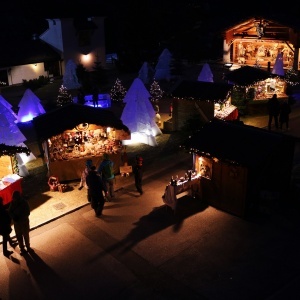 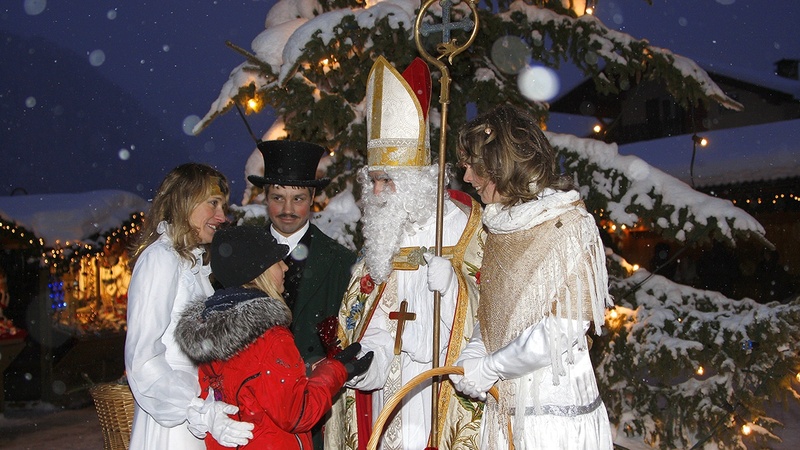 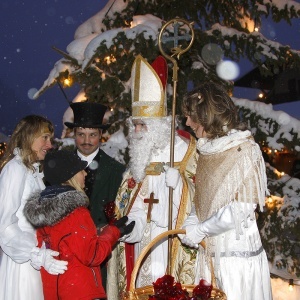 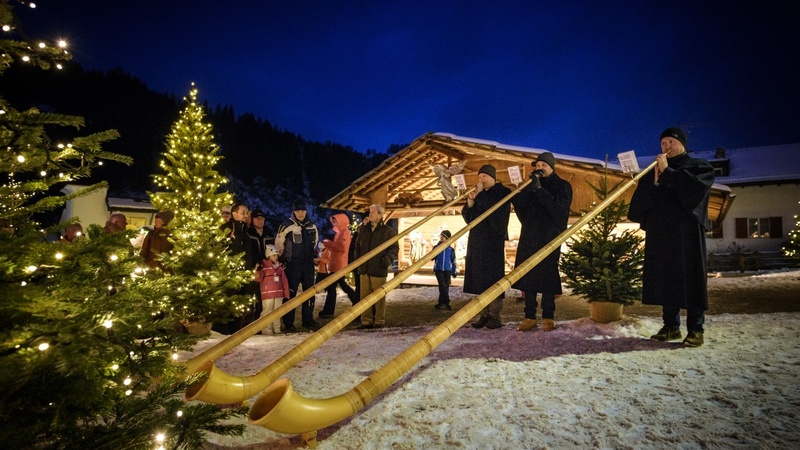 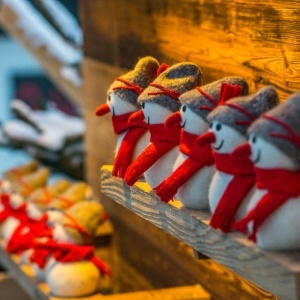 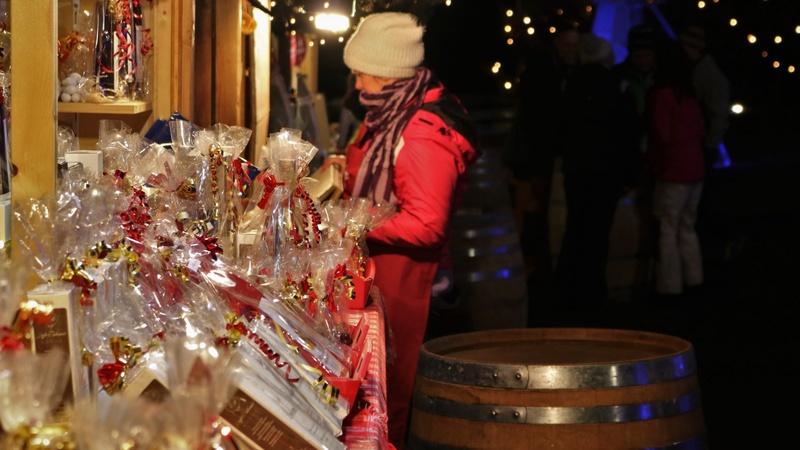 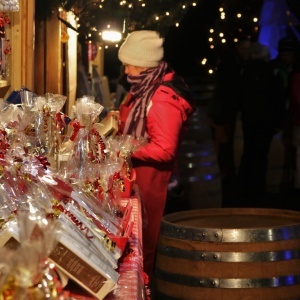 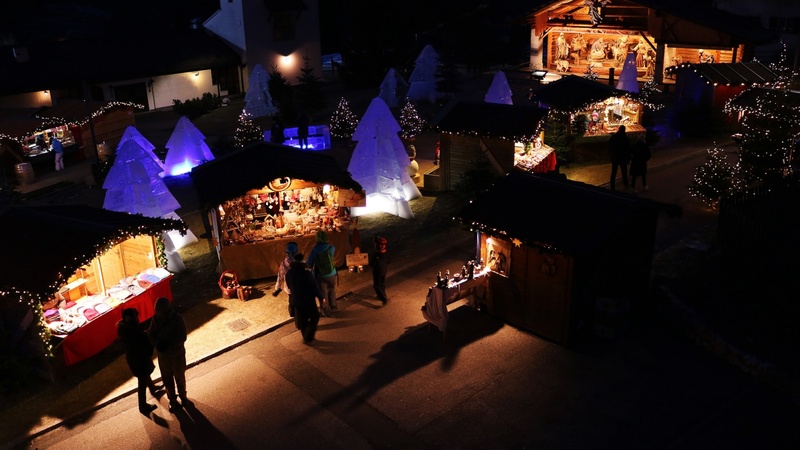 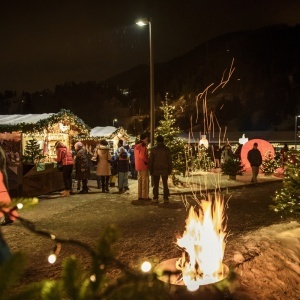 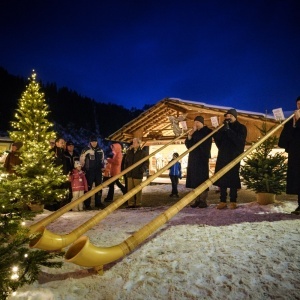 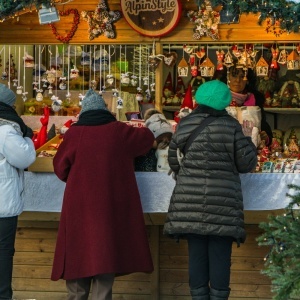 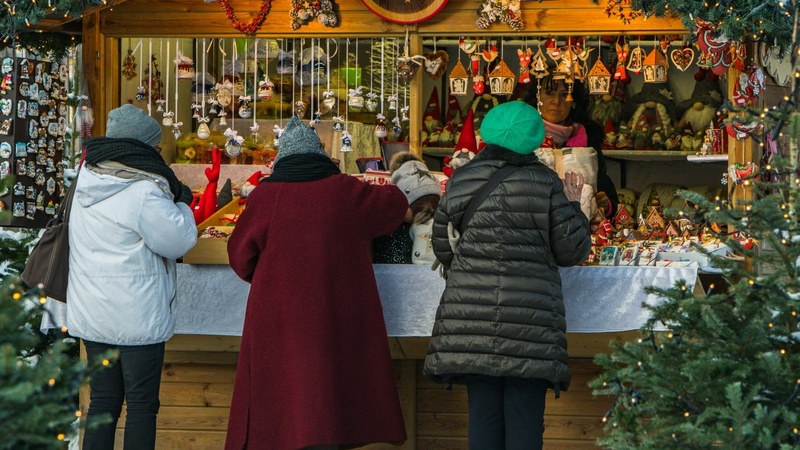 Not only do you experience the magic of the Christmas time at the market, at Christmas the whole town varies. 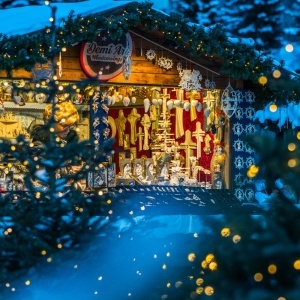 Lights decorate house fronts, colourful decorations adorn Christmas trees and in many places you can smell sweet and delicious beverages. 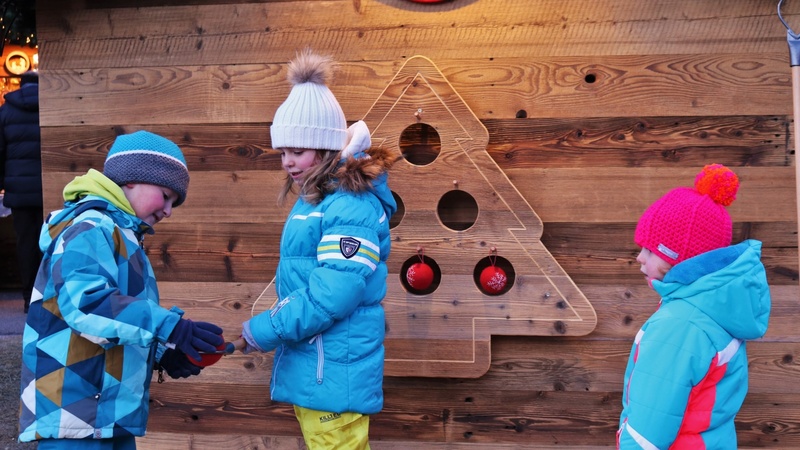 At the Christmas market you can use your obtained cup to savour Jokki’s favourite tea and refill the cup as often as you like!